Presented by Red Wing Roots and James William Moore Real Estate Co. Entering their second decade as an ensemble, Chatham County Line bring a deep reverence for traditional American roots music and timeless bluegrass instrumentation to insightful, poetic original songs that are powerfully contemporary yet rich with the complex resonance of their southern heritage. Over the course of six studio albums and performances around the world, they have pursued a singular style that is entirely their own, yet connects with audiences from all walks. Dynamic and captivating, Chatham County Line are equally capable of classically hard-driving bluegrass and sparse, haunting ballads. 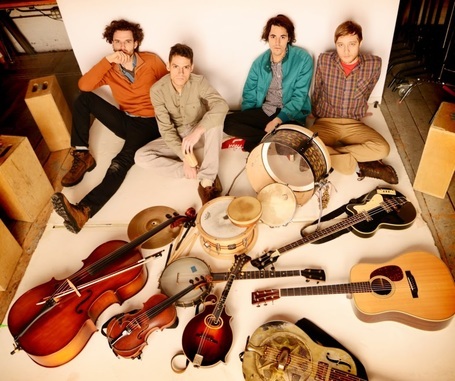 The key to their sound lays in the close collaboration of the band's four members: Dave Wilson (guitar), John Teer (mandolin, fiddle), Chandler Holt (banjo), and Greg Readling (bass). 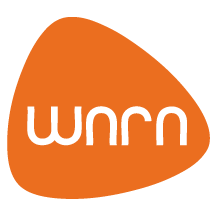 This partnership enriches their latest album Tightrope (Yep Roc), which was forged over a year's worth of intensive rehearsals where they put every element under the microscope. "At the end of the day," explains Wilson, "you want to write songs that have a reason for existing. For Tightrope, there was a lot of scrutinizing. We wanted every song to make the future Greatest Hits." Check out stories and photos from this concert. 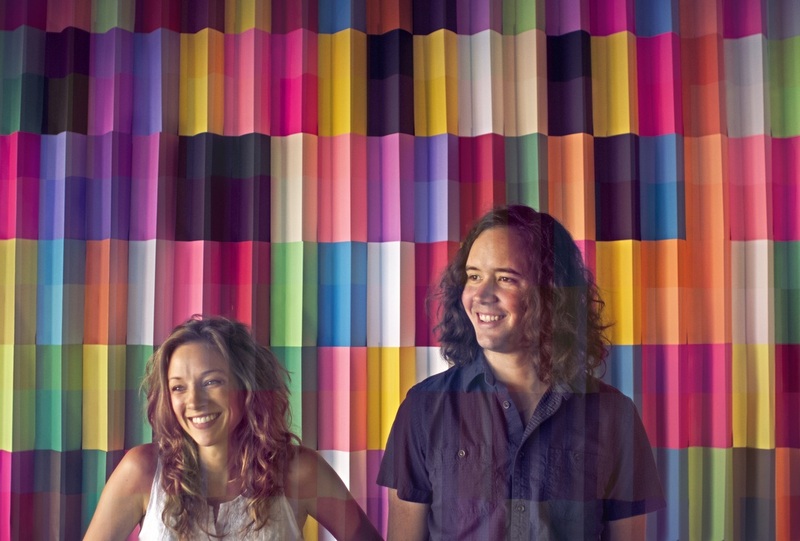 Mandolin Orange makes music that WNYC describes as being “laced with bluegrass, country and folk…often wistful and contemplative without being somber, and always firmly grounded in the South.” The duo, comprised of Andrew Marlin and Emily Frantz, have just announced the May 5 release of Such Jubilee, their second studio album for Yep Roc Records. The Steep Canyon Rangers started as a group of friends playing music together for fun, but after more than a dozen years together, they are instantly recognized as one of the most successful bluegrass bands touring today. Their recordings and dynamic live performances have earned them many accolades, including Grammy and IBMA Awards, but most important, is the devotion of their fans. 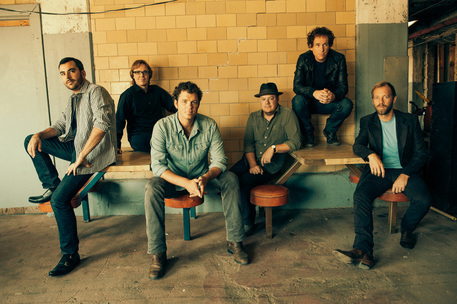 The Steep Canyon Rangers are Woody Platt (guitar), Graham Sharp (banjo), Charles Humphrey (bass), Mike Guggino (mandolin), Nicky Sanders (fiddle) and Mike Ashworth (box kit). The Steep Canyon Rangers play progressive bluegrass music firmly rooted in tradition, with smart, original songs. They are seasoned and dynamic, never failing to thrill their audience with instrumental dexterity and speed, tight harmonies, and the fun they obviously have on stage. 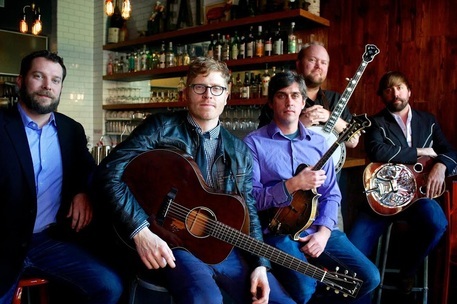 Ever growing and evolving, the Steep Canyon Rangers keep things interesting by performing at an eclectic mix of venues ranging from NY’s Carnegie Hall to a stand up rock clubs; jam band festivals to traditional bluegrass festivals. They tour between 125 and 150 dates per year, typically splitting their schedule between their own shows and sharing the stage with actor/comedian and respected banjo player Steve Martin and, more recently, with Steve and Edie Brickell. Did you attend this concert and have a story or photograph to share with us? If so, let us know! 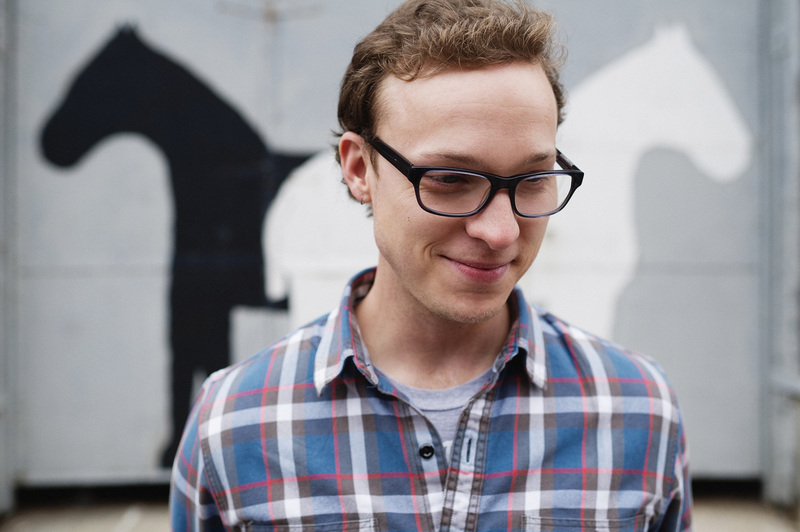 Kentucky-born cellist and composer Ben Sollee likes to keep moving. He kicked off 2014 with the release of his score for the documentary film Maidentrip. In March, he performed at Carnegie Hall as part of a tribute to Paul Simon. And you may have caught Sollee on the road supporting song-writer William Fitzsimmons throughout April and May. If you’ve seen him perform, you know it’s not to be missed. For listeners just discovering Ben’s music, you’ll find that there’s a lot more to it than songs. Over the 6 years following the release of his debut record, Learning to Bend, Sollee has told an unconventional story with his rugged cello playing. Seeking a deeper connection to communities on the road, Ben first packed his touring life onto his bicycle in 2009. Since then he has ridden over 4,000 miles from show to show. 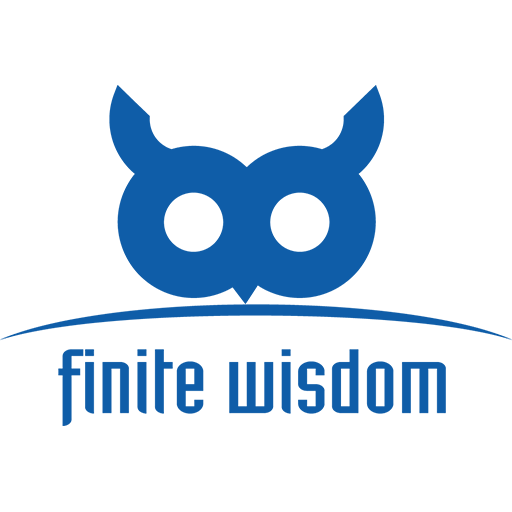 He has been invited to perform and speak on sustainability at a number of festivals including South by Southwest Music (2011) and TEDx San Diego (2012). Closer to home, Ben has devoted a tremendous amount of energy to raising awareness about the practice of mountaintop removal mining in Central Appalachia. 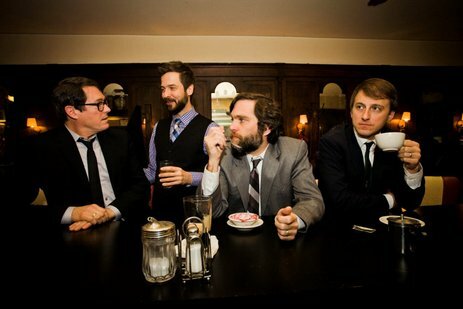 His 2010 collaborative album Dear Companion (Sub Pop) brought together fellow Kentucky artist Daniel Martin Moore with producer Jim James (My Morning Jacket) to shed light on the issue. In teaming up with international organizations such as Patagonia Clothing and Oxfam America, Ben has come to be known as a thoughtful activist who mobilizes his audiences to take environmental actions through the power of live music. …meticulous, fluent arrangements continually morphed from one thing to another. Appalachian mountain music gave way to the blues, and one song was appended with a fragment from a Bach cello suite, beautifully played. 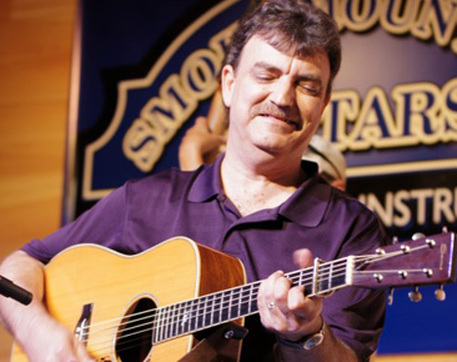 Gary has released 5 CDs, "Pickin Tradition", "Live at the Troubadour Vol 1", "Live at the Troubadour Vol.2", "Gary Ruley & Muletrain" and "The Southern Inn & Out". 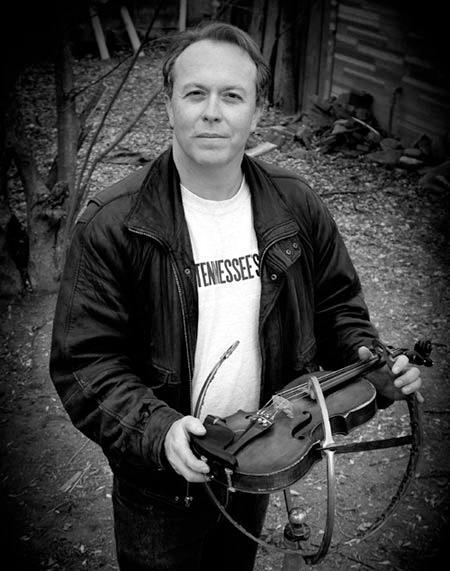 Gary also performs on Larry Keel's "Miles and Miles", Larry Keel's "Journeys", as well as "Walkers Run". Musicians of Mule Train include Anne Marie Simpson Calhoun (fiddle/vocals), Mary Simpson (fiddle/vocals), Brennan Gilmore (mandolin/vocals), Will Lee (banjo/vocals), David Knicely (bass), Larry Keel (guitar/mandolin/vocals), Jenny Keel (bass/vocals), Jeremiah Ruley (banjo), Daniel Knicely (mandolin/vocals), Nate Leath (fiddle), Shannon Wheeler (fiddle), Rex McGee (fiddle/banjo) and Steve Hoke (pedal steel/fiddle). "Please don't think about me when I'm gone," sings Dudley Connell on "Hometown Blues," the opening track of the Seldom Scene's new Sugar Hill release, SCENEchronized. But how can we not, when it's the Seldom Scene, one of the most acclaimed bluegrass bands of all time, and it's been seven years since their last recording? The band is back, and like an old friend coming around for a visit after being gone too long, the Scene pulls up some chairs and starts telling stories, and the time between just melts away. From the first notes of the CD, it's like the band was never gone. The familiar warm harmonies and sparkling instrumental work are as strong as ever, signature sounds over the band's 36year career that have remained constant despite multiple line-up changes. 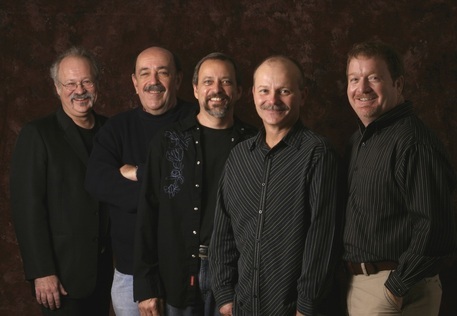 Now the band is Ben Eldridge, along with guitarist/singer Dudley Connell, mandolinist/singer Lou Reid, dobroist/singer Fred Travers, and bassist/singer Ronnie Simpkins and occasionally guitarist Chris Eldridge. It's this quintet that is the longest lasting version of the band, together since the 1996 death of founding member, the legendary mandolinist and larger-than-life character John Duffey. "It would have been easy to hang it up after Duffey died," admits Eldridge. "But we had a meeting about a month after he passed, and we decided that we'd been enjoying playing together too much to let it just fade away. And these songs, the body of work that the Scene had created over the years, it would have been a shame to never play those songs again." But for now, the world is a better place with the release of SCENEchronized. In its way, it's a tribute to the Scene's past as much as it is a statement about the present. You'll find two songs recorded by the Country Gentlemen along with one song written by Duffey and recorded early on by the Seldom Scene. There's not one but two Paul Craft songs (Craft contributed such gems as "Keep Me From Blowing Away" and "Through the Bottom of the Glass" to earlier Scene releases). There's one called "Sad Old Train" that's an explicit tribute to "Old Train," a beloved number from the Scene's repertoire. And once again going outside the usual bluegrass lines, there's a Dylan song, a John Fogerty song, a Duane Allman song, as well as a more traditional Stanley Brothers tune. Cover versions have always been the band’s highlights and this record is no exception. The songs by John Fogerty, Merle Haggard, Steve Earle, and Bob Dylan resonate with both high lonesome energy and a melodious melancholy. Here’s to hoping it’s not seven years until they release another new album. Traveling Players performs All’s Well That Ends Well, Shakespeare’s unconventional girl-gets-boy comedy. A doctor’s daughter will travel to the ends of the Earth in order to win the love of a young count, despite his steadfast resistance. Along the way, royalty, a bragging soldier, and a chaste maiden accompany our cunning heroine in this modern fairy tale that… Ends Well! Check out stories and photos from this play. Did you attend this play and have a story or photograph to share with us? If so, let us know! The Rigs (formerly known as The Boston Boys, returning to Lime Kiln after last year's stellar performance!) are a quartet eager to spread joy to the world through their music. 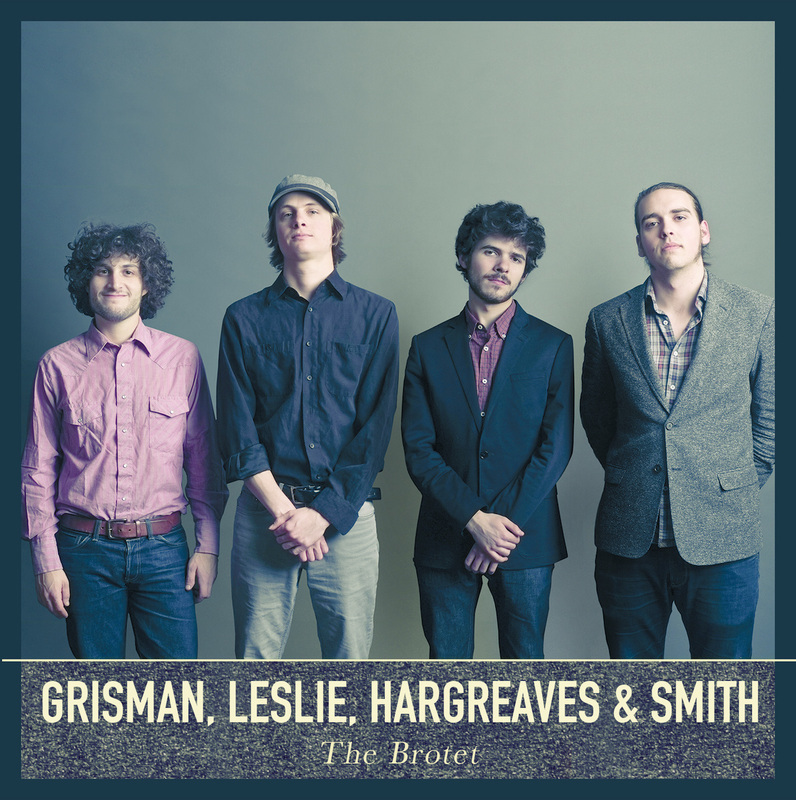 Each member is rooted in diffe﻿rent styles, new and old, and the quartet blends their unique sounds together to create a new form of Americana. Honest lyrics, soulful vocal melodies, and bone-shaking grooves inspired by the brilliance of jazz and bluegrass, the accessibility of old-time blues and modern pop, and the fearless attitude of rock and hip-hop creates an energetic experience that rings true with many generations and cultures. What sounds casual and good-timey – handoffs from player to player, solos that turn into intertwined duets – is intricately plotted and arranged, attentive to the textures of each voice and string. Dismiss labels. Forget trying to fit into a scene. Be true and play your songs. That encompasses the prevailing spirit of Let It Go, the fifth studio album from Grammy-nominated bluegrass expansionists The Infamous Stringdusters. The new effort, released April 1 on the band’s own High Country Recordings, finds the band on firm footing, at ease with an evolving sound that defies categorization. It’s acoustic music, sure, but not the kind you’ll hear from any other band. Roots can be traced but boundaries don’t exist. 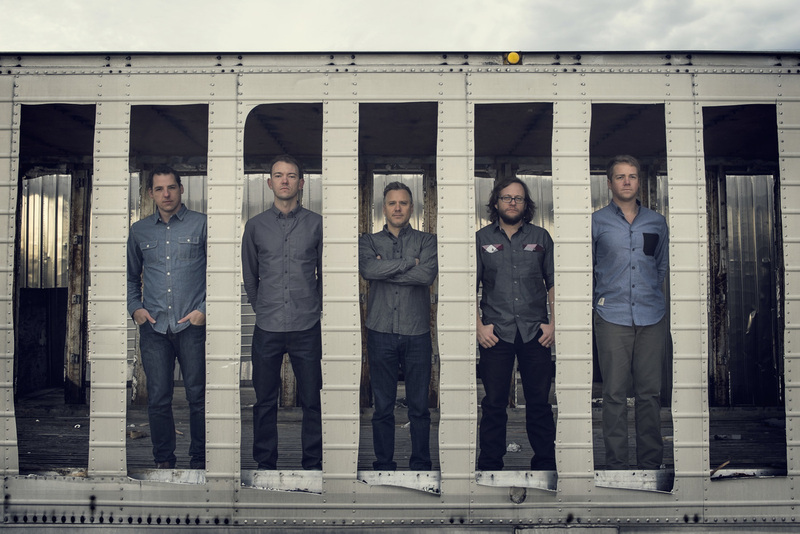 The Infamous Stringdusters have proven they can both mine the past and look forward to the unknown, and their new album is a touchstone for a group of tightly bonded musicians completely comfortable with each other and their collective identity. You are my bright shining star you guide the way . .
Sprouting from the musical foothills of the Blue Ridge Mountains, Charlottesville, Virginia’s LOVE CANON currently resides in full bloom. The musicians, led by guitarist Jesse Harper, are six seasoned virtuoso string players fused together by wood and wire to become LOVE CANON. Love Canon doesn’t cover the music of the ’80s as much as kidnap it and take it on a bluegrass-tinged joyride. 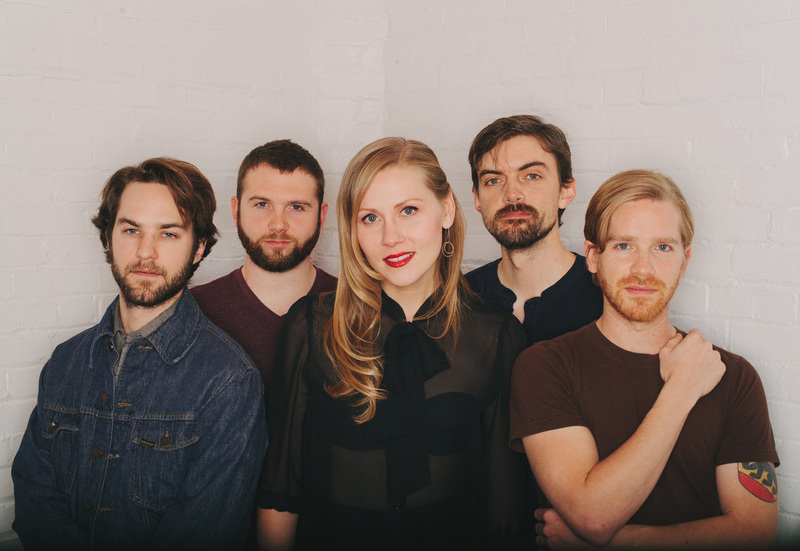 With a passenger van and a trucker’s atlas, LOVE CANON has been touring the mid-Atlantic since 2010 bringing their own raucous blend of bluegrass to the masses. 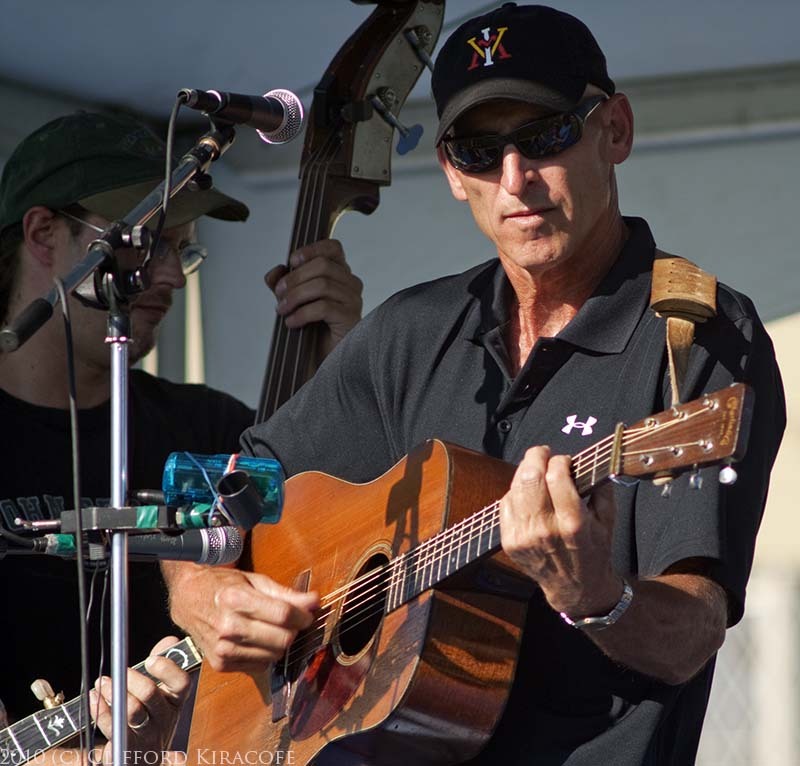 The band’s diehard fans are music lovers first and foremost, drawn to the beautiful high-lonesome stylings of Harper’s guitar and vox paired with banjo master Adam Larrabee, mandolin pickin’ by Andy Thacker with Darrell Muller holding down the low-end on standup bass. The band is augmented with the sweet sounds of resonator guitar king Jay Starling on the Beard MA-6.